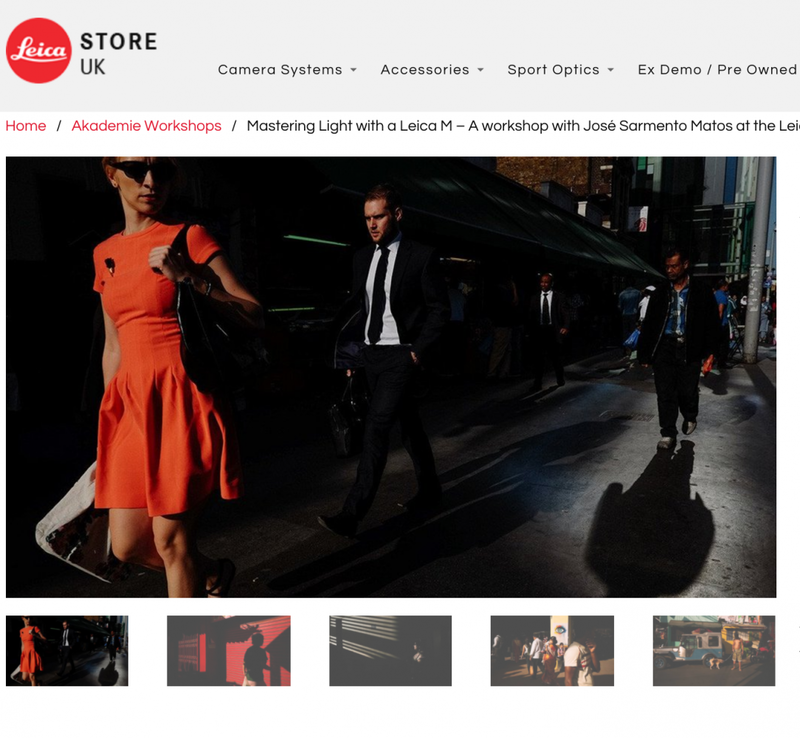 Join professional photographer José Sarmento Matos for a Leica Akademie workshop at Leica Store City, London. Learn more and sign up, here. Learn how to control available light while shooting a story on everyday life in London. José will work with the attendees on their street photography skills in order to produce a coherent one-day series/story. The attendees will work on their exposure, framing, composition, and the ability to approach subjects in the street.